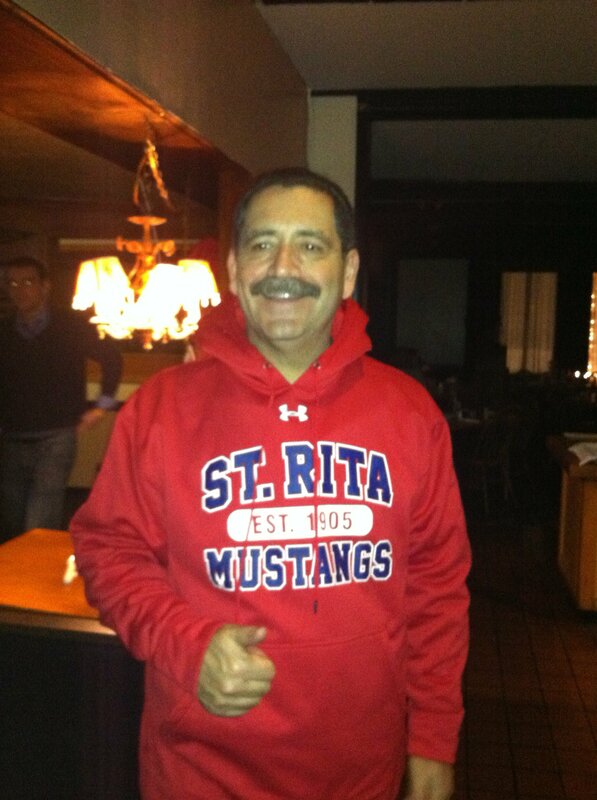 Mayoral Candidate Jesus “Chuy” Garcia is a proud St. Rita Mustang. 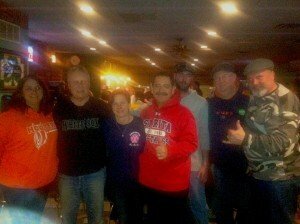 The gang at TR’s in Mount Greenwood welcome Chuy to their neighborhood. Mayoral candidate Jesus “Chuy” Garcia plowed through the 5th largest blizzard in Chicago history to introduce himself to the Irish American community in a Super Bowl Sunday blitz of 19th Ward pubs yesterday. Decked out in the colors of his alma mater, The St. Rita Mustangs, Chuy starting shaking hands in The Cork & Kerry around 4PM and hit Keegan’s, Dingers, The Dubliner, O’Brien’s, O’Rourke’s Office, McNally’s, The Beverly Woods, Cullinan’s Stadium Club, Hippo’s, Galloway’s Mystic Lounge, Baracco’s, and TR’s on 111th Street until winding up at Ken’s back on Western ave around 9PM. The assorted Chicago Public School teachers, firefighters, police, and city workers who were hunkered down in the pubs watching the Super Bowl warmly welcomed Garcia. Many were astounded that he had come out on a night not fit for man nor beast to say hello and listen to their concerns for the city. 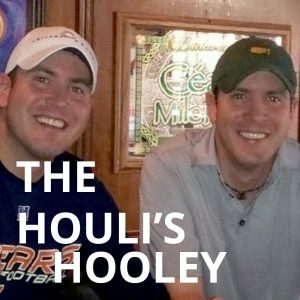 The hate for Rahm in the 19th Ward was palpable on Super Bowl Sunday as one after another voter met Garcia’s handshake with expletive laced pronouncements of “Anybody but Rahm”. And after brief discussions with Chuy many enthusiastically offered atta boys in his direction. Many city workers refer to Emmanuel with disdain as “the nine-fingered ballerina” because of his missing digit and history as a ballet dancer in college. Emmanuel must get 50% of the vote plus one or else stand for election again in a runoff with whoever comes in second. Right now that looks to be Jesus “Chuy”Garcia. Once that happens, all bets are off. There are a lot of votes in the 19th Ward.